John Otto made waves this week with his announcement that he won't seek re-election to the Texas House next year. In making that decision, the Dayton Republican ensured that his one term as head of the powerful House Appropriations Committee this session will be his only one. His announcement also got us thinking over here. Is Otto the norm in serving just the one term as the House's chief budget writer? Or is he an outlier? The answer to both questions would seem to be yes, depending on how you frame things. Looking back over the last 35 legislative sessions, 10 of the 15 men to serve as Appropriations chairmen served in just one session. But it's become increasingly common among more recent chairmen to serve long tenures. 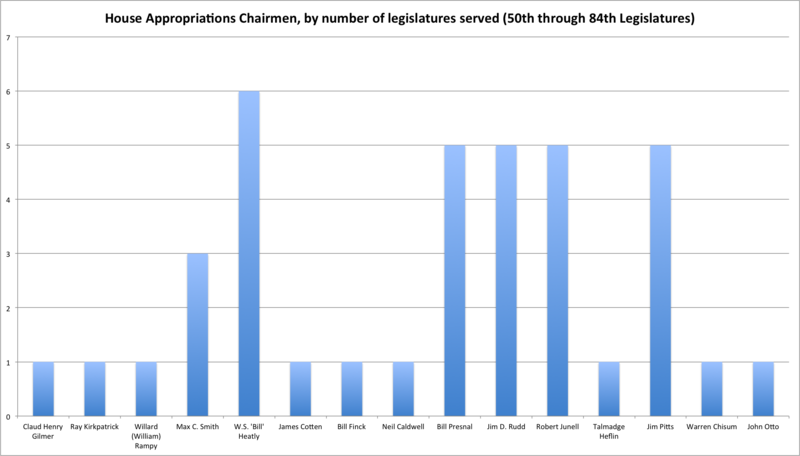 Of the past seven chairmen, more than half of those served over multiple sessions. Correction: Due to an error in the reference material, Doyle Willis was mistakenly listed as a chairman. His name has been removed and the copy and graph have been updated. 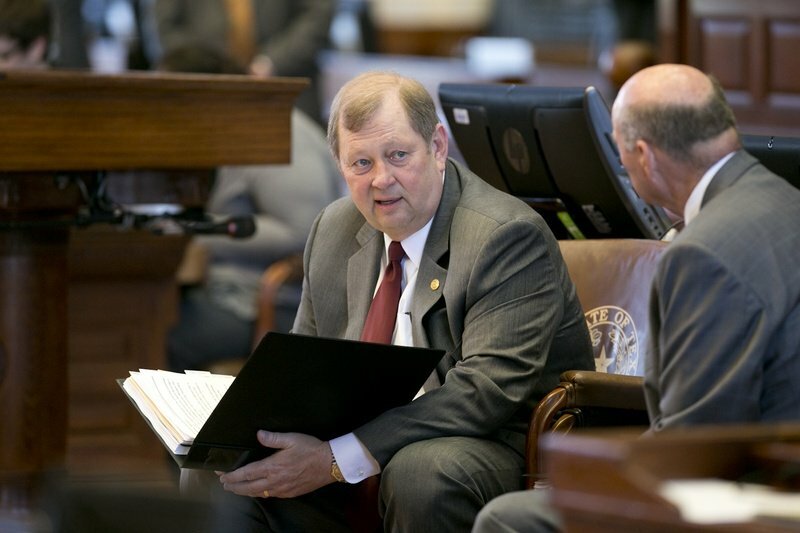 TW Explainer: How Is a Statewide Office Vacancy Filled?